RECAP: Red Sox pick up first road victory of season. The Red Sox defeated the Detroit Tigers 7-5 on Sunday. Rick Porcello made the start against his old team while Daniel Norris took the mound for the Tigers. Porcello never really found any rhythm during his 6+ innings, as he gave up a total of 11 hits while also striking out 8. Norris was solid for the Tigers today, as he gave up three runs in 6.1 innings while giving up seven hits, three walks, and only striking out 2. Matt Barnes looked really good out of the bullpen today, pitching two shutout innings in relief of Porcello. The closer, Craig Kimbrel, continues to struggle in games he pitches where he has a lead larger than one run. He was able to pick up the save, but not before giving up two walks, a hit, and a run. The Red Sox were lucky the Tigers bullpen was so awful today. Bruce Rondon came into pitch the 8th inning and he failed to record an out while giving up three earned runs. Kyle Ryan came in after Rondon, and he gave up another run before finishing the inning. This was the rally the Red Sox needed since it gave them the lead. A similar situation occurred on Friday when the Red Sox scored 5 runs in the eighth to take the lead, but the bullpen blew it. Today though, the bullpen only gave up one run, from Kimbrel, in a combined three innings of work. Back to the Red Sox offense, the biggest surprise of the day was Marco Hernandez, who recorded three hits in four plate appearances batting out of the nine-hole. Another positive is how well Sandy Leon has been swinging the bat to start off the season. Today, he went two for four with a double and two RBI’s. That puts his batting average at .438 after appearing in five games. It was nice to see Mookie Betts return to the lineup today, and it looks like Xander and Hanley will be returning shortly. Also, Jackie Bradley Jr. was held out of the lineup today, which was concerning, but from what they were saying, it still doesn’t sound like anything serious. 3 down, 91 to go. Author Brendan CampbellPosted on April 9, 2017 April 9, 2017 Categories Baseball, UncategorizedTags Baseball, boston, detroit, mlb, red sox, sunday, tigersLeave a comment on RECAP: Red Sox pick up first road victory of season. RECAP: Rodriguez, Red Sox drop game two to Tigers. The Red Sox have lost consecutive games for the first time this season, as they were defeated by the Detroit Tigers 4-1 on Saturday. Eduardo Rodriguez made his first Major League start in the month of April and it was a rather disappointing performance. After only giving up a solo home run through the first four innings, Rodriguez collapsed in the fifth and gave up three runs, including another solo home run. It was the bottom of the Tigers lineup that caused Rodriguez and the Red Sox bullpen the most trouble today. Batters 1-6 went a combined 1 for 19 at the plate while also getting walked a total of three times. Batters 7-9, however, went a combined 4 for 7 with two walks mixed in as well. The Red Sox offense has started this season on a sour note, scoring only in four of forty-eight innings thus far. The flu has made its way around the clubhouse, leading to the extended absences of Mookie Betts, Xander Bogeaerts, Hanley Ramirez, and now Joe Kelly. It was reported today that even the coaching staff has caught the bug. The most bizarre part of all this is how NESN play-by-play man, Dave O’Brien, had to leave during the game because of the symptoms he was experiencing. The absences in the lineup are obviously impacting the offensive output and I expect this lineup to generate more runs and scoring opportunities once fully healthy. Also, really scary thing happened today involving Jackie Bradley Jr. As he was rounding first base after a fly out, his foot appeared to get caught, which resulted in him tripping over the base. Thankfully, he was able to walk it off afterwards so hopefully he will be good to go for tomorrow. He made two great catches today and you’d hate to see anything happen to him. 2 down, 92 to go. Author Brendan CampbellPosted on April 8, 2017 Categories Baseball, UncategorizedTags Baseball, boston, detroit, mlb, red sox, saturday, tigersLeave a comment on RECAP: Rodriguez, Red Sox drop game two to Tigers. After yesterday’s rainout, the Red Sox had an extra off day as they traveled to Detroit for a four game series against the Tigers. Stephen Wright and Michael Fulmer were the two pitchers to square off today. The Red Sox had many absences from the starting lineup, such as Xander Bogaerts, Mookie Betts, and Hanley Ramirez. The Sox offense was quiet for most of the day, as they did not score until the top of the 8th, where the offense woke up and drove in 5 runs, including Pablo Sandoval’s first home run of the 2017 campaign. Stephen Wright was okay in his first start since he got hurt last year, giving up 4 runs on 7 hits, 3 walks, and 4 strikeouts over 6.2 innings pitched. The biggest dissapointment of this game was the Red Sox bullpen. Over the past two games, it appeared that the bullpen could be consistently good this season, I’m not saying they can’t, but they were a letdown today. Ben Taylor made his Major League Debut and got his first strikeout to end the 7th, so congratulations to him. 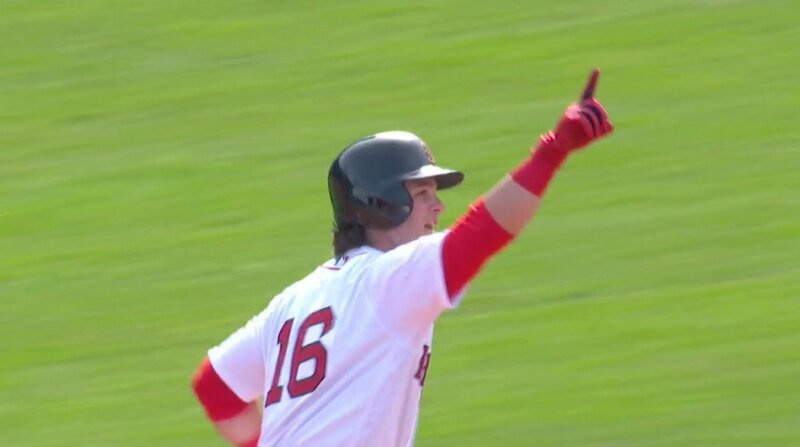 After the Red Sox took the lead in the top of the 8th, Robby Scott, Heath Hembree, and Joe Kelly gave up a combined two runs and allowed the Tigers to retake the lead and that was that. Also, after reading the Red Sox Twitter mentions, I can conclude there are too many Red Sox fans who are overreacting. RELAX. That’s right, I came up with a concrete number. RECAP: Sale, Leon lead Red Sox to victory in Extras. The Red Sox defeated the Pittsburgh Pirates 3-0 in 12 innings on Wednesday night. This game was a true pitcher’s duel, as Chris Sale and Jameson Tailion put on a show for the first seven innings. Sale was dominant in his debut, getting seven strikeouts in seven innings. Tailion also threw for seven innings and recorded six strikeouts. It appears that Chris Sale will fit in just fine here in Boston, as his debut was absolutely electric. There was a lot of hype going into the game and Sale lived up to his debut expectations. The Red Sox offense was silent for most of the game. They left a lot of runners on base and it took them 11 innings until they finally got a run across, which won them the game. Sandy Leon hit a walk-off, three run homer in the bottom of the twelfth, which was amazing. Sandy has emerged as a legitimate major league catcher since he got called up last season. It’s really not fair how people would rather see Christian Vazquez back there because of his defense. Sure, Vazquez has a better glove, but Leon has a better bat and call a pretty good game, which was made apparent during Sale’s debut last night. Also, shout out to the Red Sox bullpen. Barnes, Kimbrel, Hembree, Scott, and Kelly held it down in a combined five inning effort last night. 2 down, 90something to go. Author Brendan CampbellPosted on April 6, 2017 Categories UncategorizedLeave a comment on RECAP: Sale, Leon lead Red Sox to victory in Extras. RECAP: Red Sox defeat Pirates 5-3 in season opener at Fenway. Defending Cy Young Award winner Rick Porcello and the Boston Red Sox took care of business against Gerrit Cole and the Pittsburgh Pirates on Monday, beating them 5-3. I was only able to watch the bottom of the 8th and the top of the 9th since I was in class so this might not be the best analysis. HOWEVA, I was following along on Twitter and my impression is that Porcello was rolling up until the seventh, then he gave up three runs. I find it funny that Pablo Sandoval drove in the first run of the season. I tweeted this out earlier, but I really think Pablo can thrive in the 8th spot to begin the year. This will allow him to not be in a ton of high-pressure situations and I think putting him there could help him like it helped Jackie Bradley Jr. during the early parts of last season. Watching Craig Kimbrel close out the game was interesting. Throughout last season, I got anxious nearly everytime Kimbrel took the mound, and that’s how I felt today. A hit batsman and a double off the monster that I for sure thought was a home run. 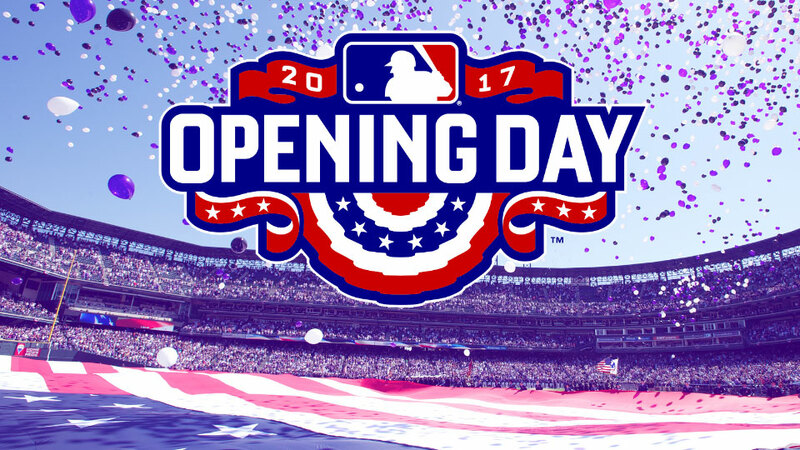 Plenty of suspense for Opening Day. 1 down, 90something to go. Author Brendan CampbellPosted on April 4, 2017 Categories UncategorizedLeave a comment on RECAP: Red Sox defeat Pirates 5-3 in season opener at Fenway. You heard it here first, the Boston Red Sox will defeat the Los Angeles Dodgers in six games. Clayton Kershaw will get his, but the three headed monster that is Sale, Porcello, and Price will prevail. Chris Sale wins World Series MVP. Hello, my name is Brendan Campbell, this is Blogging The Red Sox. I started this blog in 2017 to share my thoughts and opinions on the Boston Red Sox, a team I have been a fan of my whole life. Thanks for visiting and go Sox.